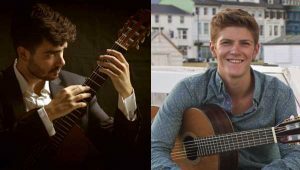 London Guitar Festival 2018 features a wonderful series of concerts, masterclasses and competitions. We look forward to an exciting line-up of major international artists and young artists making their debuts. 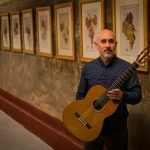 Europe’s foremost Flamenco act, the Gerardo Nuñez Quintet is headlining the Friday night, the amazing Ana Vidovic concludes the Big Night of the Guitar on Saturday evening and a superb double-billing of Margarita Escarpa and Paco Seco on the Sunday. 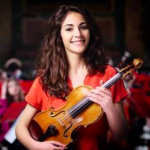 This year we especially welcome performances from exciting EUROSTRINGS YOUNG ARTISTS as part of the new EuroStrings Project, as well as our own Young Artist Platform and Aspire stage. Don’t miss these very special events and reserve the dates now. Tickets available now! 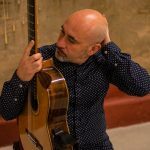 Guitarist and composer Gerardo Nuñez is recognised as one of the world’s biggest stars of Flamenco and his wife Carmen Cortés is one of Spain’s most distinguished dancers & choreographers. They have collaborated on many productions and tonight’s show is one of incredible intensity, passion and profound authenticity. They are supported by legendary percussionist Cepillo, outstanding bassist Pablo Martin and astonishing singer of Romani origin Antonio Carbonell. Born in Jerez de la Frontera (Andalucia, Spain), Gerardo is one of the outstanding exponents of the Flamenco Nuevo which is a fusion of different musical genres and styles which has led to a remarkable number of collaborations with artists of the most diverse genres including classical singer Plácido Domingo, pop star Julio Iglesias, new age harpist Andreas Vollenweider, Spanish rock band Mecano and jazz saxophonist Michael Brecker. 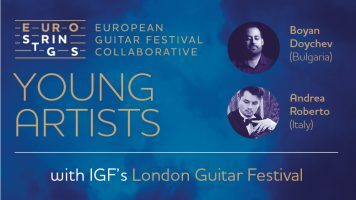 Featuring Ana Vidovic, the Final of London International Guitar Competition, 2016 winner Giacomo Susani and the Eurostrings Young Artists Ensemble. LIGC one of the most prestigious competitions worldwide which has attracted the best guitarists under 30 years of age who have come from 33 different countries. Tonight three finalists will play 20 each to win the coveted First Prize. This final is included in price of the evening concert or can be purchased as a separate ticket for £4.50. 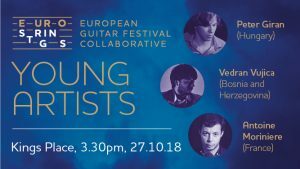 A magical night of the guitar which includes a performance of the EUROSTRINGS YOUNG ARTISTS ENSEMBLE. 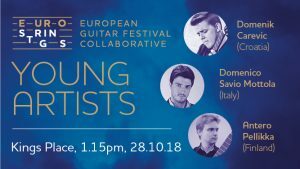 This is a guitar ensemble consisting of the winners of 14 European Guitar Competitions and Festivals as part of the Eurostrings project funded by a 2M grant from the Creative Europe programme of the European Union. This 15 min concert includes a new commission from Léo Brouwer and a new IGF commission by leading English composer Gabriel Jackson. 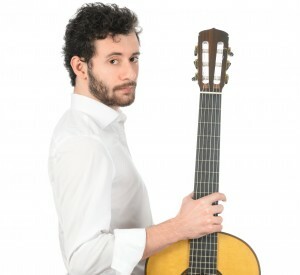 This is followed by a 30 min performance by Italian guitarist Giacomo Susani, the outstanding winner of London International Guitar Competition 2016. The concert will conclude with a performance of one of the greatest guitarists in the world, the amazing Ana Vidovic. 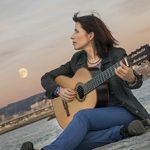 Since winning her first international guitar competition at the tender age of 14, the Albert Augustine Memorial Guitar Competition held at Bath Guitar festival 1995 (one of IGF’s first events) Ana has gone on to a major international career and we are delighted to welcome her back to the UK. This is a unique chance to learn with Margarita Escarpa, one of the world’s leading classical guitarists. Margarita won various national and international prizes including the prestigious ‘20th Solo Guitar Competition’ of the Guitar Foundation of America (GFA). 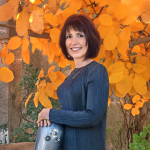 She has recorded extensively for RTVE, Opera Tres, Naxos, La Ma de Guido and GHA Records. 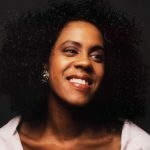 Critics and audiences have all raved about her artistic sensitivity and superb technical ability. 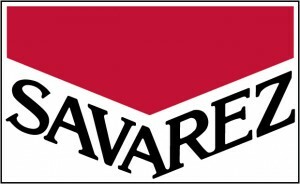 This is a unique chance to study with this very special artist. Students from leading London conservatoires will present chamber music with guitars. Musicians for this performance are: Lois Nicoll (Flute) and Francesco Rocco (guitar) Duo. The Ashwini Duo: Sofia Presta (violin) and Fábio Fernandes (guitar). Saki Kato (guitar) and Hugh Millington (guitar) duo. 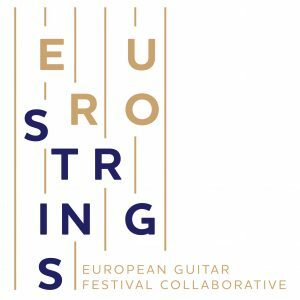 Eurostrings, a collaborative of 14 European Guitar Festivals, supported by the Creative Europe Programme of the European Union. Concert by the EUROSTRINGS YOUNG ARTISTS, these are the 1st Prize winners of 14 European International Guitar Competitions (first part). Ana Vidovic is one of the greatest guitarists of our time. She is also an excellent and patient teacher giving each student vital information on what they need do to improve. This is a rare opportunity to study with this amazing guitarist. Master Paco Seco plays ‘Andalusian Guitar’ which is suitable for Flamenco guitarists and classical guitarists who want to learn Flamenco techniques. Last year’s London Guitar Festival 2017 was a great success – please view the link here to see what we got up to.